Mission Search is committed to providing a higher standard of service and to the delivery of safe, quality patient care. 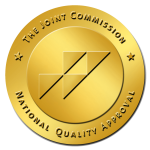 Mission Search complies with the Joint Commission’s Standards for Healthcare Staffing Services. As our customer, you can have confidence that the processes within Mission Search support that the supplemental staff working in your organization have met the requirements established by the Joint Commission. To assure compliance with the Joint Commission Standards for Healthcare Staffing Services, Mission Search provides the customer a written description of the service features listed in the Joint Commission Policy Statement below. Mission Search will not engage subcontractors to offer Assigned Employees unless agreed to in advance by the customer. Assigned Employees may only be placed in positions that match the job description for which Mission Search selects them; if an Assigned Employee is asked to float to another department with the customer, the department must be a comparable department or unit, and the float provider must have demonstrated competency, and have the appropriate certifications, credentials for that department/unit. Assigned Employees should only be floated to areas of comparable clinical diagnoses and acuities. It is the responsibility of Mission Search to conduct and finalize the pre-employment assessment of the Assigned Employee competence based on the techniques, procedures, technology, and skills needed to provide care, treatment, and services to the populations served by the customer upon completion of Mission Search orientation. It shall be the responsibility of the customer to cooperate in a review or evaluation of each Assigned Employee, relative to the provider’s ability to perform specific job functions upon completion of provider’s assignment or shift. Mission Search relies on the customer’s feedback to accurately assess and re-assess the competence of the Assigned Employee on an ongoing basis based on the customer’s report of clinical performance. Mission Search will provide all new providers with an orientation to the company’s policies and procedures. It shall be the responsibility of the customer to orient assigned employees to the facility and its rules and regulations and to acquaint them with the facility policies and procedures, including dress code, physical layout and equipment and to validate competency and ability of Assigned Employee to use the equipment properly. As the provider of staffing services, Mission Search will be the employer of Assigned Employees. At its sole discretion Mission Search reserves the right to utilize Independent Contractors in addition to its employees, to assist in the provision of all agreed upon Healthcare Supplemental Staffing services. Upon notification of Incidents and or Errors, Mission Search shall document and track all unexpected incidents, including errors, sentinel events and other events, such as injuries and safety hazards related to the care and services provided, utilizing its data gathering tools. Information gathered tracked and analyzed is to shared and reported appropriately to customers, regulatory bodies and the Joint Commission as required. It shall be the responsibility of the customer to notify Mission Search within 24 hours of the event; any competency issues, incidents, or complaints related to the Assigned Employee or Mission Search. Customer agrees to initiate communication with Mission Search whenever an incident/injury report related to the Assigned Employee is completed. Click here to submit a complaint. The criteria of staff sent to the customer by Mission Search are to be determined by the customer as part of the written agreement between the two parties. It is Mission Search obligation to comply with the requirements of the customer by supplying professionals that have the documented competencies, credentials, health screening and experience to satisfy the criteria specified by the customer to deliver safe care to the population served. Mission Search, to the best of its ability, identifies conflicts of interest. Mission Search discloses all conflicts of interest to its clients. Mission Search annually reviews its relationships and its healthcare providers’ relationships with vendors, clients, competitors and regulatory entities to determine conflicts of interest. When conflicts of interest arise, Mission Search discloses this when appropriate to the client involved or affected. Mission Search enforces that internal employees of Mission Search are not permitted to maintain additional employment, accept gifts (other than those of nominal value) or to allow payment on their behalf of any travel, living or entertainment expense by any person or organization currently doing business with or seeking to conduct business with Mission Search, unless approved by the client involved or potentially involved. Mission Search shall verify the Assigned Employee’s licensure, certification, education and work experience to assure they are competent and possess the skills and expertise that match requirements for the assignment; this may include the use of new grad practitioners upon the request or approval of the customer. The Mission Search office, located in Tampa, FL, is open Monday through Friday from 9:00 a.m. to 6:00 p.m. EST. Our toll-free telephone number is (800) 410-2009. Outside of regular business hours, in the event of an emergency, please contact us at (833) 303-0662. In the event of an emergency, natural disaster or another uncontrollable event, Mission Search will continue to provide service to you through our corporate network form a location where phones and computers are functional. Mission Search will do everything possible to support you in meeting your needs during a crisis. A copy of our Emergency Management Plan is available upon request. Our goal is always to provide you with a consistent level of service. If for any reason you are dissatisfied with our service or the service provided by one of our healthcare professionals, we encourage you to contact your Mission Search manager to discuss the issue. Mission Search has processes in place to resolve customer complaints effectively and efficiently. If the resolution does not meet your expectation, we encourage you to call the Mission Search corporate office at (800) 410-2009. A corporate representative will work with you to resolve your concern. Any individual or organization that has a concern about the quality and safety of patient care delivered by Mission Search healthcare professionals, which has not been addressed by Mission Search management, is encouraged to contact the Joint Commission at www.jointcommission.org or by calling the Office of Quality Monitoring at (630) 792-5636. Mission Search demonstrates this commitment by taking no retaliatory or disciplinary action against providers when they do report safety or quality of care concerns to the Joint Commission.